Filming season is busy as you would have seen from previous posts, and yet we still manage to fit more TV work in than we had planned to do every year. 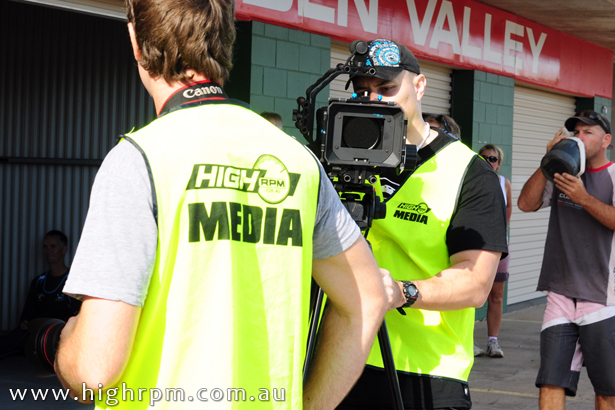 One of the regulars on HighRPM's to-do list is the Hidden Valley Drags who require a number of different commercials over the year. This one is the 2012 version of their track champs advert that is running currently on the seven network who is their sponsor. When you see the team trackside a large proportion of the footage they take goes to the motorsports clubs for exactly this type of usage.